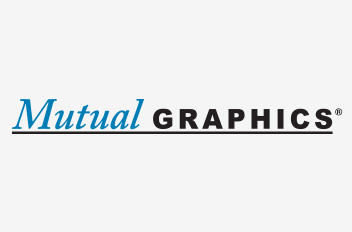 Since 1965, Mutual Graphics has served print distributors throughout the United States as a manufacturer of continuous and cut-sheet forms and snap-outs. We take great pride in our high quality customer service, products, and quick turnaround times. Take advantage of SelfService to upload files and artwork, obtain an estimate, and stay on top of your orders with online tracking, reordering, and invoice management. If you would like to place a new order, please call or email us. 2019 Amazon Gift Card Spring Sweepstakes entry valid on any new order placed with Mutual Graphics only during the promotional period. Promotion is from March 20, 2019 until midnight, May 14, 2019. One entry per order; one prize per customer. Promo code 203715 must be submitted at time of quote or order. Orders can be submitted online or offline. Not valid on orders in production or orders moved from other Ennis facilities. Sweepstakes terms at http://www.ennis.com/our-network/mutual-graphics/. One Amazon gift card (at $75) will be given away around the beginning of June to a randomly selected winner. Offer subject to change. Amazon® is not a participant in or sponsor of this promotion. To enter without making a purchase, mail a plain 3″ x 5″ or 4″ x 6″ card with your name, company name, address, phone number and email to Ennis Marketing, Mutual Graphics Gift Card Spring Sweepstakes, 2441 Presidential Parkway, Midlothian, TX 76065.